We would like to thank all our customers for the successful cooperation and wish you a successful year 2018. APSTEX is now part of the official IFC4 software certification team on behalf of buildingSMART. We are responsible for automated checking of IFC files against IFC4 schema compliance, STEP compliance, demanded parameters, implementers agreements, geometry checks and mvdXML. Our model checking software, which is developed for validation of IFC interfaces of BIM software, is, therefore, integrated into the official IFC4 certification platform of buildingSMART (b-Cert). 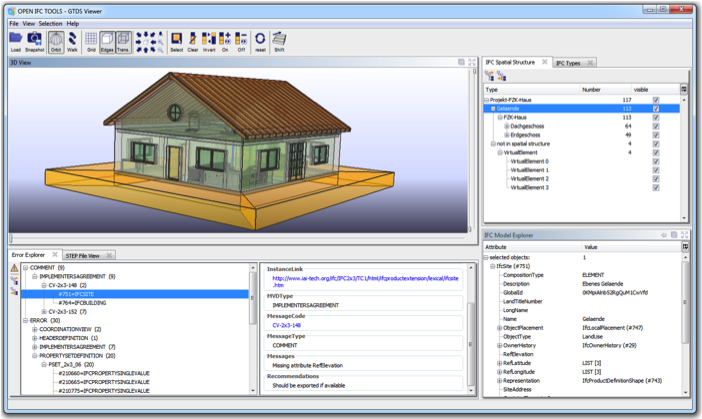 The apstex IFC Framework provides tools for accessing and visualizing IFC-based building information models (BIM). 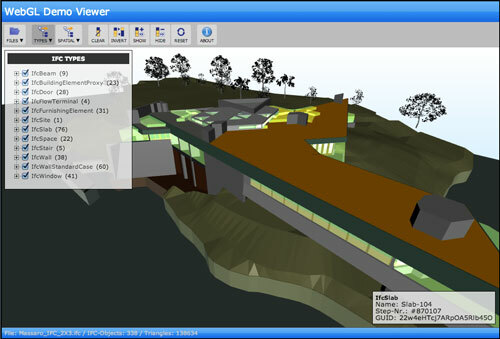 Developers of BIM software can easily integrate the framework into their products. 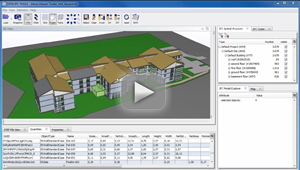 End-users may use our viewers to visualize and check their models. The apstex IFC Framework is a fork of the former Open IFC Tools framework that is no longer maintained. The apstex IFC Framework has been forked in 2010 and has been fully revised. The framework offers the possibility to develop IFC-based applications quickly to support complex business processes in the building industry. The framework is used by thousands of developers and users worldwide. Getting Access: The framework is free for research and also available for prototype development. For commercial use, a commercial license is required. Please contact us, if you are interested to get access to the research version or if want to use the framework in any commercial way. Service: Upon request, we provide additional toolboxes based on any EXPRESS scheme, e.g. extended IFC schemas such as IFC Alignment, IFC Bridge, IFC Tunnel, IFC Rail, IFC Road, or other standardized schemes such as one of the STEP Application Protocols (AP 214: Core data for automotive mechanical design processes, AP 203: Configuration controlled 3D designs of mechanical parts and assemblies, ...). In addition, we provide individual consulting, further developer support, and software development on hourly, daily, monthly or on a project basis. Training courses at your location are also possible (in English or German). Please ask for a certain quote by explaining your expectations. If you have further questions related to the framework, feel free to contact us.